A single note is released; both guitar and bass riffs are quickly added. The snare drum is rolled; a loud and demanding bass drum is beat. 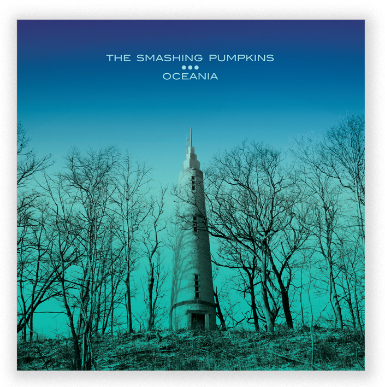 A bold guitar solo is pushed to the front and all things form into place as Billy Corgan’s infamous vocals reassure the audience that you are indeed listening to the Smashing Pumpkins first track off their ninth studio album. I personally have had difficulty trying to completely move on from the mysterious and glorious magic presented in Mellon Collie and the Infinite Sadness. The “Tonight Tonight” music video (aka “Le Voyage Dans la Lune”) that was showered on MTV and VH1 allowed me to visualize music in a whole new way at age 10. Though the Smashing Pumpkins have struggled to create a worthy comparison to “Tonight Tonight,” I do believe they internally possess an ability to bring forth this magical atmospheric sense in their instrumentation accented by Corgan’s vocals. And with this, they have been creating beautiful moments of shoegaze rock since the late nineties. The Smashing Pumpkins are able to bring this combination of futuristic and ambient shoegaze along with distorted guitar and stubborn guitar solos. I feel as if categorizing this as their very own genre is probably the easiest and most understanding way to explain it. I find a very hard time comparing their entire sound to anyone, ever. Yes, I suppose there are places where I could muster up some areas of comparison to other artists, but those would include a lot of me saying “-ish” and “-esque.” Oceania [EMI/Caroline Distribution/Martha’s Music] definitely holds a firm grasp on their shoegaze-rock and in a sense, more than it has on other albums by The Smashing Pumpkins. Many introductions on this album are longer and have a long and winding transcendent build-up that transitions with entering vocals that we frankly are not used to hearing anymore, especially in “alternative rock” (Wikipedia still labels them in this category, is this even a genre anymore?). “Pinwheels” is one that comes to mind. You think you know where it is going to go, and then that perception is changed about every 40 seconds for the first three of the five minute, forty second song. Songs are rather predictable these days, and you forget how refreshing it is to be questioning, on the edge of your seat, and completely taken off guard. It allows you to appreciate the moment you’re in and the arrival of the next moment so much more. On some tracks it gets to the point where you think, “What chorus? Who needs a chorus!” which is very monumental for our little structured and organized minds. Oceania (due out June 19th) is a combination of guitar solos and sporadic catchy melodic verses and choruses that create a well written and designed album. I would not classify these thirteen tracks as masterpieces, but I can confidently express that taking an hour out of your hectic life to experience this album would be rather beneficial. I also urge a few listens since there, of course, are many transitions and solos happening rather quickly between each other. And for Pumpkins’ fans? Enjoy the hell out of it. With tracks like “My Love Is Winter,” “The Chimera,” and “Wildflower” the chance you won’t be impressed is about as slight as the refs fouling Lebron James out of a game.